The cops showed up, and observed a scratch on Rivas’s chest and a bruise on her cheek. Familia was arrested, and thus began the long, obscured process that has become typical of MLB’s implementation of its domestic violence policy. Rivas said she did not want Familia to be charged and the couple worked together with the prosecutor and judge to determine the next steps after the arrest. Ultimately, prosecutors did not bring charges against Familia after a hearing during which “everyone there did their best to distance this from a ‘domestic violence’ case,” according to Newsday. It wasn’t the state of affairs you typically see when it comes to athlete DV cases—Familia’s and Rivas’s joint cooperation with the prosecution made the legal process undramatic. It doesn’t mean the person accused is innocent (nor does it mean they are guilty). It represents the impossible situation many victims find themselves in, and why many choose not to follow-up after an arrest. So Rivas’s participation stood out, and the couple again chose to participate in MLB’s investigation into the matter. The evidence reviewed by my office does not support a determination that Mr. Familia physically assaulted his wife, or threatened her or others with physical force or harm, on October 31, 2016. Nevertheless, I have concluded that Mr. Familia’s overall conduct that night was inappropriate, violated the Policy, and warrants discipline. We don’t know what Manfred was told about the night of the arrest, but it was enough that baseball thought punishment was needed. Nobody knows for certain what happened that night except Rivas and Jeruys. And it’s worth pointing out that baseball is speaking here with a level of authority that’s odd—they are not police, not prosecutors, not counselors, not government officials—they are employers, and yet somehow still think fans want their opinion on if this was domestic violence or not. We don’t. All fans know is that something happened and Rivas was worried enough that she felt she had to call 911 to get help. The league investigation, obscured as it may be, resulted in an interesting package of suspension plus solutions-based requirements for Familia. The league went the rehabilitation route rather than the “look tough on crime” route for this one. Lengthy suspensions can often be the league’s posturing against public reaction—and MLB clearly examined the mistakes made by the NFL when putting together its 2015 personal conduct policy. In addition to the 15 games Familia will miss, he “already has undergone 12 ninety-minute counseling sessions with an approved counselor specializing in the area of domestic violence, and received a favorable evaluation from the counselor regarding his willingness to take concrete steps to ensure that he is not involved in another incident of this type,” according to Manfred. Therapy will hopefully help Familia readjust his emotional behaviors, but an additional stipulation of his punishment by MLB will be to open a dialogue with other players about his arrest and what he’s learned while in therapy. Such steps by the league provoke an “Ah, they get it!” moment, which might just indicate how low the bar is for sports leagues handling domestic violence, but it’s a step in the right direction. Familia will have to demonstrate accountability for his actions, and if he successfully shares some of the skills he’s learned in therapy, his teammates—including infielder Jose Reyes, whose 51-game suspension under the domestic violence policy only took place last season—might learn something too. There is a potential to prevent further violence down the road through the exchange of information about a commonly misunderstood problem. In addition to the therapy and the discussion with other players, Familia is also required to get involved with domestic violence organizations. This is now standard when it comes to domestic violence suspensions, as it should be. Like the discussion with his teammates, involvement in local organizations makes the punishment not just about Familia, but about his community. 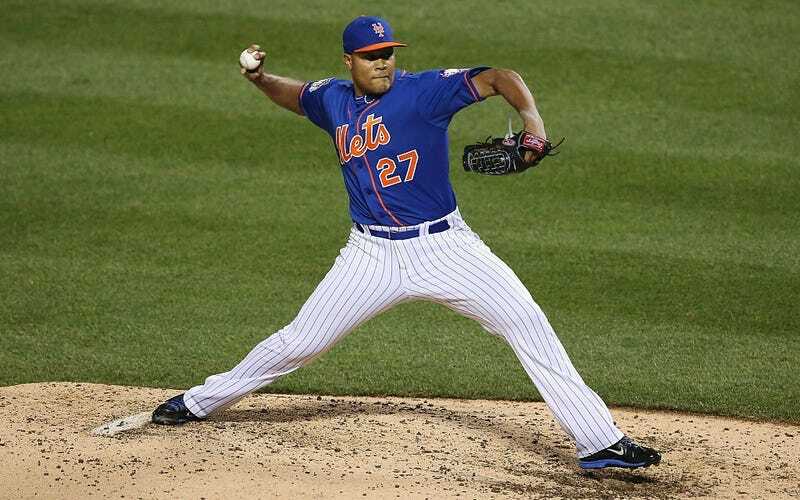 Ultimately, Familia’s suspension comes down to two weeks off at the beginning of the Mets’ season, after pitching in the World Baseball Classic and throwing a league-high 77.2 innings for a closer in 2016. But viewed as a whole—from MLB’s investigation, to not throwing out a wildly disproportional suspension to make a statement, to considering the long-term prevention of another incident and the sharing of information and time for accountability—the league did surprisingly well. There will certainly be people who think that 15 games is too harsh or too light of a punishment, an irony given the fact that such suspensions aren’t much more than public relations strategies. But look beyond the 15 games and you’ll see MLB setting Familia on a path that may actually improve his behavior and secure the well-being of his wife. Ultimately, that’s what matters.